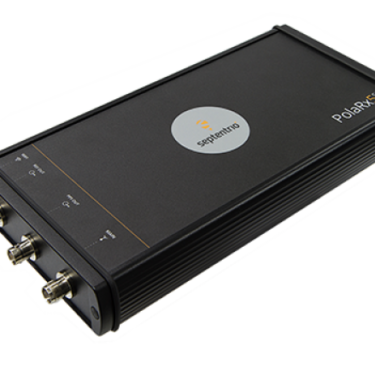 The Septentrio PolaRx5S is a versatile and robust multi-frequency GNSS reference receiver that tracks all visible GNSS signals including GPS, GLONASS, Galileo, BeiDou, IRNSS, QZSS and SBAS and generates ultra-low noise measurements. The Septentrio PolaRx5S Receiver features an ultra-low noise oscillator, enabling precise phase scintillation monitoring with a phase noise standard deviation (Phi60) as low as 0.03 rad. It consumes less power than many of its competitors and its open technology make it ideal for rapid and efficient integration into your existing network. The Septentrio PolaRx5S is available through Blue Planet Geomatics. If you would like to learn more about it, please feel free to get in touch with us by completing the Request Pricing form.